In addition, the acute care center earned the Chairman’s Silver Award and for the third year in a row received the 90% sustained growth award. 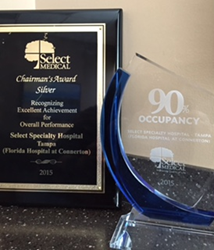 Florida Hospital at Connerton Long Term Acute Care is honored to receive two prestigious awards from Select Medical, including honorable mention for the Stu Dinney Humanitarian award. The annual ceremony took place at the Marriott Harbor Beach Resort in Fort Lauderdale on April 8, 2016. The hospital was awarded the Chairman’s Silver award and for the third year in a row received a separate award for sustained growth. 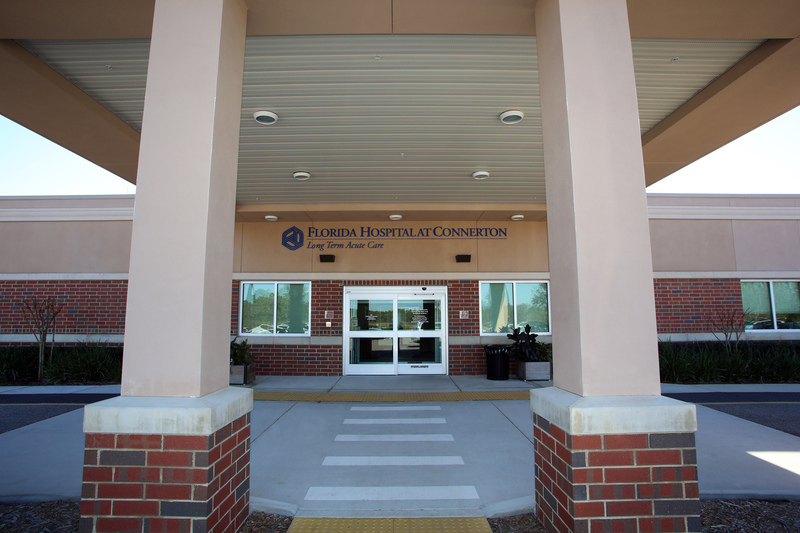 Florida Hospital at Connerton Long Term Acute Care is a 50-bed facility designed to serve people who have medically complex illness requiring additional weeks of specialized hospital care. The medical team is focused on compassionate care to help ease the stress that can be associated with long-term illness. “We are honored, humbled and privileged to receive these awards. 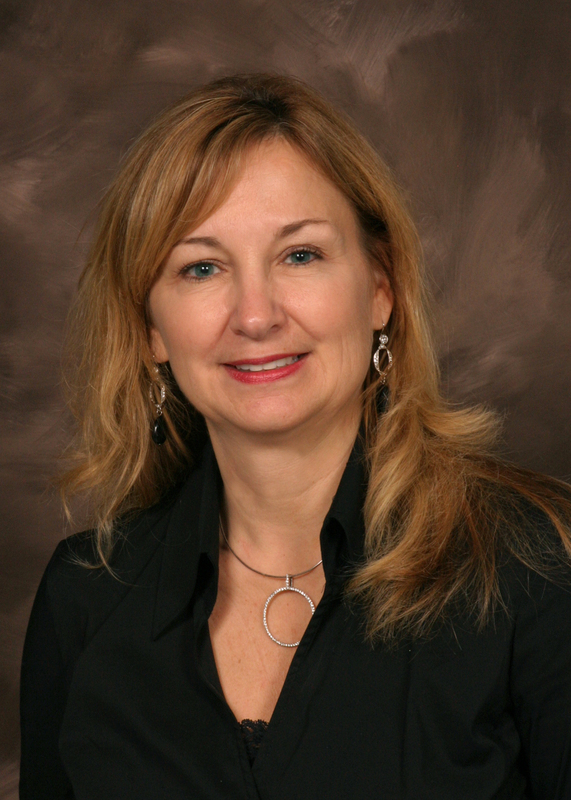 Our whole team here at Florida Hospital at Connerton works hard to achieve our goals so it’s nice to be recognized for the great teamwork that we do every day in the name of excellent patient care,” said Florida Hospital at Connerton Long Term Acute Care, Chief Operating Officer, Debi Martoccio. Select Medical is one of the nation’s largest providers of specialized acute and post-acute care. Every year, Select Medical hosts CEO and Medical Director Conference and awards hospitals for employee engagement safety, leadership and quality achievement. Co-founded by the father–and–son team of Rocco and Robert Ortenzio in 1996, Select Medical is one of the nation’s largest providers of specialized care. Select Medical’s more than 45,000 employees operate or support well over 100 hospitals specializing in long-term acute care, 19 inpatient rehabilitation hospitals, nearly 1,500 outpatient centers offering physical and occupational therapy and/or occupational medicine and offers physical therapy and/or athletic training to approximately 300 high schools, colleges and professional sports teams. In addition, it also provides medical rehabilitation services on a contracted basis to more than 400 nursing homes, hospitals, assisted living and senior care centers, schools and work sites. Select Medical and its parent company, Select Medical Holdings Corporation (NYSE: SEM), are based in Mechanicsburg, Pennsylvania. For more information, visit selectmedical.com or youtube.com/SelectMedicalTV.